A very good news for all of you. The most awaited result of the year is out. 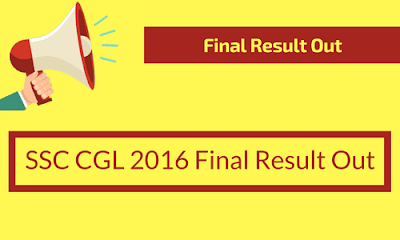 Finally SSC has announced the final result of CGL examination 2016. Bankexamstoday.com heartily congratulates you all. Click on the below links to see your result.